The trailer business is dynamic. New and further-evolved designs engineered to make jobs easier emerge on a regular basis, saving time and money while increasing productivity. 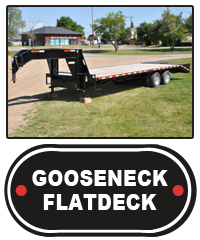 Custom-build services are available on a full range of flat deck, construction, and cargo trailers. Trailer Canada does not ship or deliver trailers. 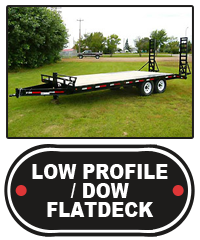 To Request a Trailer Quote, go to Request for Quote and click the Trailer Quote Form tab. Ideal for hauling ATV’s, snowmobiles, Argos, side-by-sides, and trikes. Ideal for hauling cars, construction material, and lighter-duty equipment. Ideal for hauling dirt, sand, snow, gravel, and skid-steers. Ideal for hauling vehicles and medium-duty equipment. Ideal for hauling materials, heavy-duty equipment, and pallets. Ideal for hauling heavy-duty equipment, tractors, bales, and heavy materials. Ideal for hauling motorcycles, ATV’s, side-by-sides, and light materials. Ideal for hauling medium-duty equipment, materials, and pallets. Ideal for hauling medium-duty equipment, materials, and vehicles. 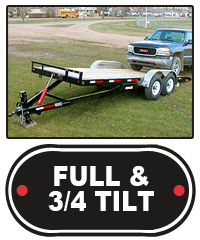 Ideal for hauling vehicles, ATV’s, side-by-sides, and snow mobiles. 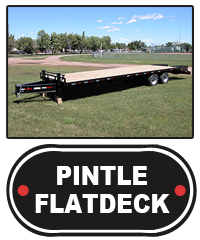 Ideal for hauling construction materials, tools, motorcycles, ATV’s, and side-by-sides.